Ones nearby, ones far away. Ones now angels, watching from clouds. Or stars who come out in our darkest hours. 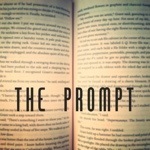 I recently discovered “The Prompt”, and as I just adore writing I thought I’d give this one a go. I do find it tough to write on happiness, hence my super duper short piece. I tried to write more but nothing felt like it fitted the prompt so I stuck with the above. That’s all you get. Hopefully more next time! In few words you have expressed so much. What a lovely poem – I really enjoy reading your poetry, it is really well written and very moving.